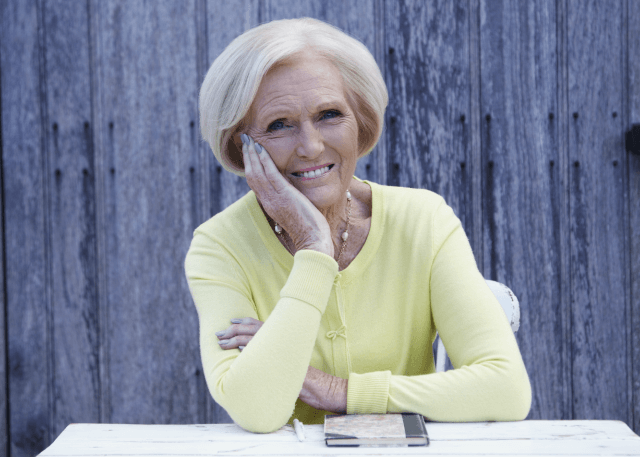 One of the UK’s most loved bakers and writers, Mary Berry has become a sensation on British television screens in recent times. Best known as being a firm but fair judge on the hit show The Great British Bake Off, as well as its various spin offs including Comic Relief Bake Off and Junior Bake Off, Mary has also presented in America. It was there that she fronted the US spin off show The Great American Baking Show for NBC. 2017 brought with it a new six part series for Mary entitled Mary Berry Everyday, which aired on BBC2 along with a cook book also written by Mary and featuring a selection of recipes from all throughout her long career. Alongside this Mary is also working on another series for the BBC entitled Mary Berry’s Secrets From Britain’s Great Houses. Mary was trained at The Cordon Bleu in Paris and Bath School of Home Economics and soon progressed through the ranks so that by the time the sixties came around she was in a position to be installed as cookery editor of Housewife magazine, before then going on to write for Ideal Home. Her TV debut came in the seventies and she has never been far away from our screen since. Mary runs her own Aga Workshops and has penned more than eighty cook books with global sales topping six million units. As such she is a go-to expert when it comes to all things cooking and baking for any appearances, demos, brand campaigns or general conversations.